Senator Laila De lima was the highest ranking official in a drug ‘matrix’ link to Muntinlupa drug trade beside an undersecretary and a governor according to President Duterte in an ambush interviews by the media Tuesday August 23. Former Department Of Justice ( DOJ ) Undersecretary Francisco Baraan who was the adviser to New Bilibid Prison ( NBP) in Muntinlupa City under the Aquino Administration was also in the list. 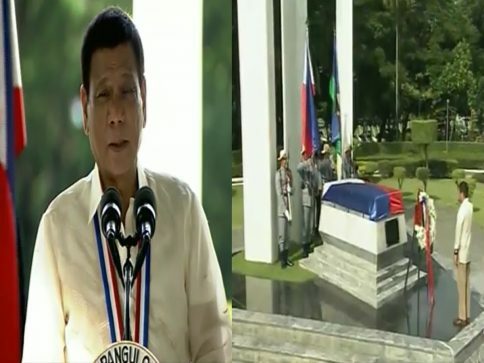 Duterte even bared that a governor who he consider his friend was on the ‘Muntinlupa Connection’ as well to his surprise. The President also vows to disclose the other information and personalities affiliated in the NBP drug business after verifying everything early this week. 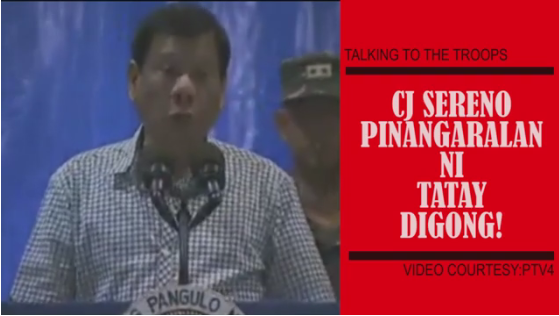 An exposé was released to the public by Duterte early last week about De Lima’s connection to the drug trade in Bilibid where her driver- bodyguard Ronie Palisoc Dayan collected the pay off for her in the national penitentiary. Senator De Lima in the other hand had vehemently denied the accusations by Duterte and swear to resign and be shot dead if proven guilty . De Lima a staunch critic of the President is leading the case proceedings on the extra judicial killings early this week on the height of the President`s war against crime and drugs.